Pour Cheerios™ into a food processor and chop into coarse bits. Add remaining ingredients and process 1 minute or until doughy (if too dry, add more honey; if too wet, add more flour). Scoop tablespoonfuls of dough and roll each into a ball. 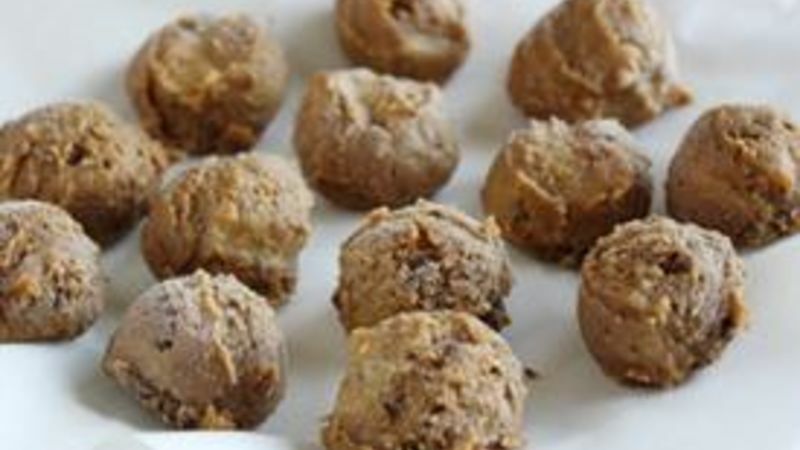 Place each ball on a parchment paper-lined plate and freeze at least 1 hour.